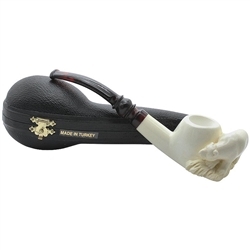 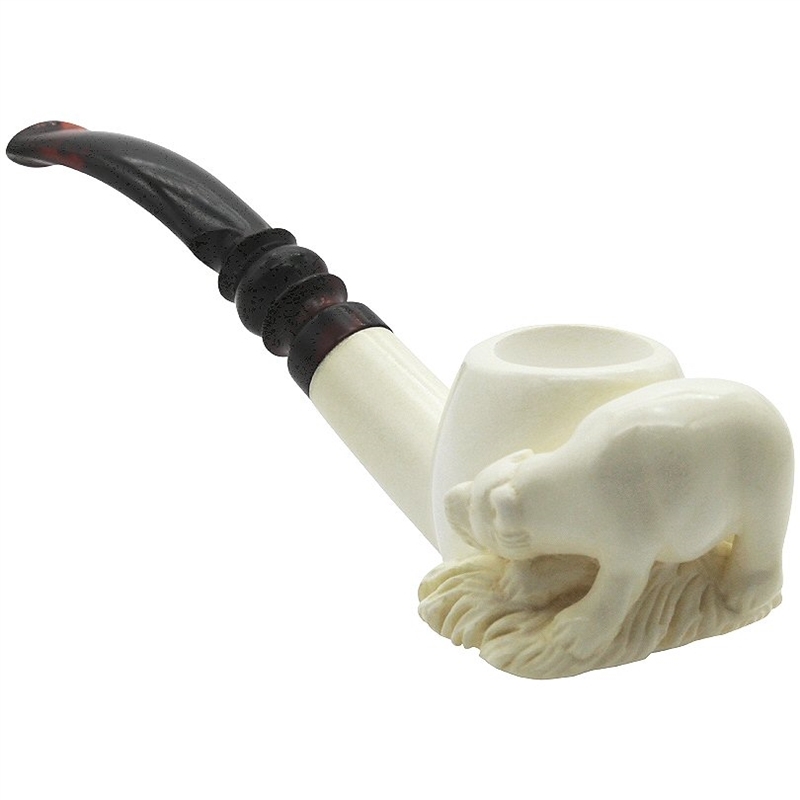 Deluxe Hand Carved Full Body Bear Meerschaum Pipe - Smooth apple pipe bowl has a carving of a full body bear lumbering on the front. 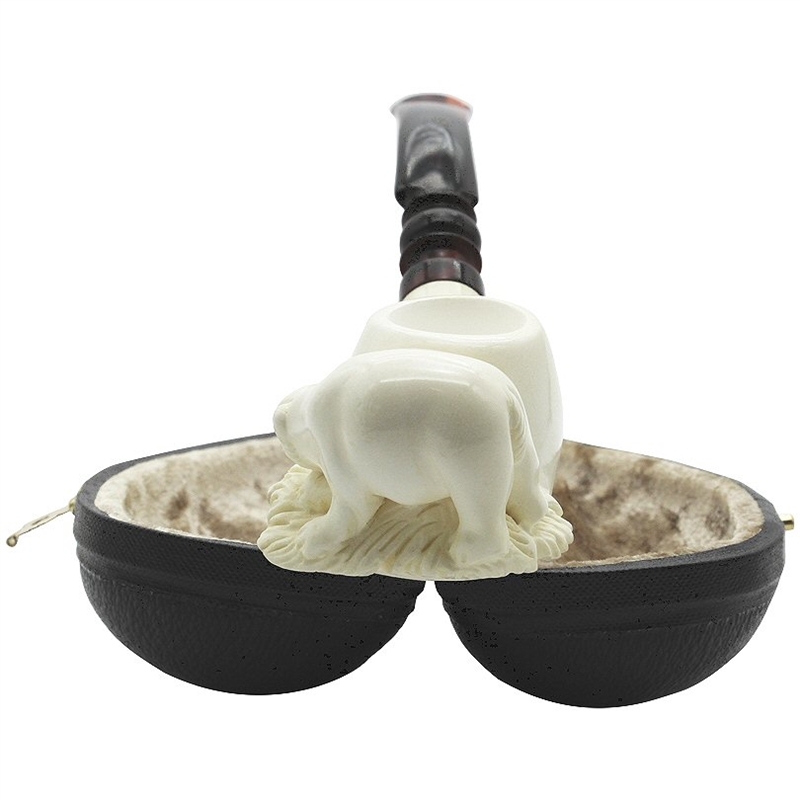 It is a "Peek A Poo Bear" peeking around to look at your face when you are smoking this pipe! The pipe has a smooth underside and shank connecting to a scrolled designer bent stem that is a deep reddish-black translucent color.